Miriam Sonstenes and Jeff Dill have been making music together for over a decade, ever deepening their love of bluegrass, country, old time and swing. 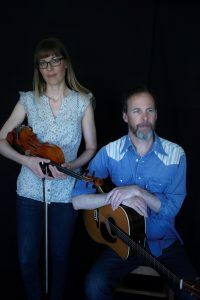 Using the fiddle and guitar as their foundation and leaping off point, these two well versed musicians serve up old country songs, Texas swing fiddle tunes, old time square dance music and original songs with grace and traditional style. Their musical travels have taken them to Ireland, North Carolina, Louisiana, and across Canada on VIA Rail’s Artists on Board Program. As well as passionately studying and performing the music they both love, Miriam performs regularly with The Unfaithful Servants, and is a founding member of the award winning roots trio The Sweet Lowdown. Jeff is a member of Riverside Bluegrass Band and both are members of Victoria bluegrass favourites Flash In The Pan. 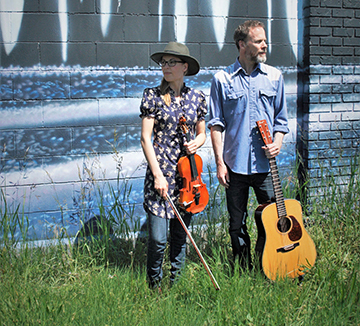 With a tight vocal blend on classic duets of love, heartache and longing, and compelling fiddle tunes from many traditions, this duo brings a warm and inviting sound, infused with the pure joy of making music.